The National Justice Center is pleased to announce that it has received a grant from the U.S. Department of Justice, Bureau of Justice Assistance to administer Turning Points: A Comprehensive Tribal Court Alcohol and Substance Abuse Training Program. The Turning Points Training Program is designed to build the Capacity of Tribal Justice Systems that work with clients who are impacted by alcohol and substance addiction. 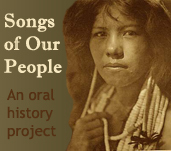 The goals of the project are to improve tribal court intake systems and processes to increase tribal courts’ ability to anticipate client risk and protective factors for substance abuse and violence, resulting in the ability to provide rehabilitative services that meet the health needs of clients who struggle with these issues. 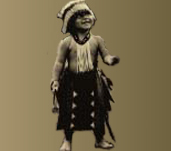 two (2) mentoring sessions for specific tribal justice systems for the purpose of adapting promising practices, such as the Juvenile Crime Prevention Intake Survey, currently used by tribes in Oregon to reduce juvenile delinquency and crime, to enhance tribal court operations concerning substance abuse issues.